Staycations are hugely popular among couples during Valentine’s day. A few days away from the familiarity of your own home, playing tourist and exploring your own country as if you were overseas. Staycations are great, but here in Singapore, they are crazy expensive—especially if you’re looking for a place that’s beautiful and grand. A good option to get over this problem is just across the causeway. Johor Bahru is home to a plethora of gorgeous hotels that cost just a fraction of the ones here in Singapore and it’s great for a quick, short getaway to relax and rejuvenate. 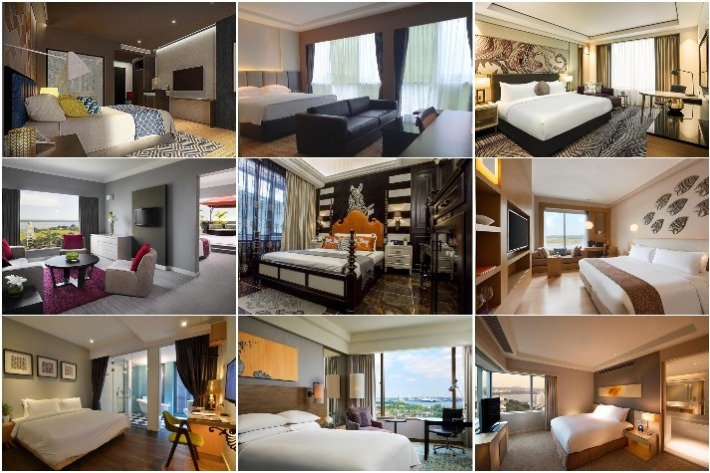 For those of you who are looking for an affordable place to have a staycation with Bae to feel like royalty for a day or two, we have here a list of 10 picturesque hotels in Johor Bahru for a luxurious getaway that you can consider below S$110. Consecutively awarded the ‘World’s Best Airport’ for its sixth year in 2018—the first time in the history of the awards—, Changi Airport dubs itself as ‘an airport worthy of being a destination in itself’ for good reason. Jewel Changi Airport will be Singapore Changi Airport’s newest addition and unmistakably one of the most highly-anticipated openings in our city. Opening on 17 April 2019, this complex will house some of the world’s biggest f&b brands such as popular American burger franchise Shake Shack, A&W and London’s famous Burger & Lobster. Before the official opening, a public preview will be held from 11 to 16 April 2019 for everyone to have a sneak peek. A total of about 500,000 free tickets will be available and it will run in four three-hour time blocks from 10am to 10pm daily. The 14,000 sq m Canopy Park—located on the top floor of Jewel Changi Airport—is not available and it will be open to the public only in the middle of the year. Here’s what you can expect to find in Jewel Changi Airport! Filled with an amalgam of trendy cafes and under-the-radar clothing boutiques, Bugis is a favourite of locals and tourists alike for a day of pure fun and food in the sun. 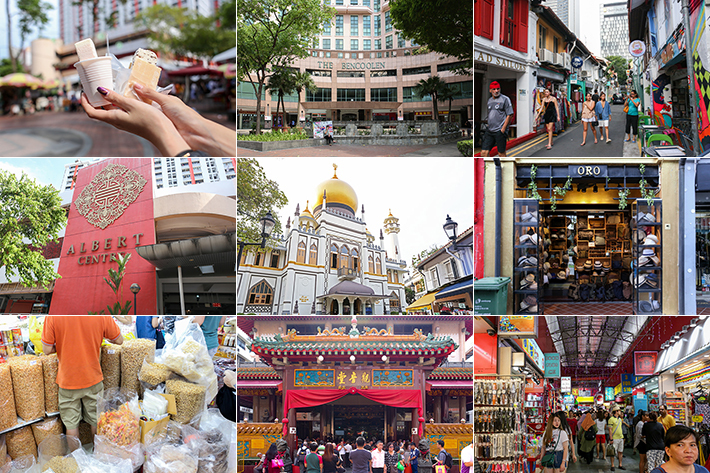 However, Bugis is more than just a food and shopping heaven. There are plenty of historical and religious sites to explore and a multitude of interesting cultural activities that you can get up to. Why fill up your day with mindless shopping when you could immerse and educate yourself about Singapore’s rich heritage instead? Here are 13 Interesting Things You Must See & Do In Bugis, one of the most exciting hipster areas in Singapore. It is time to make plans with your partner or friends to visit Bugis this weekend and make sure that you bring along your camera too! So you are headed to Melbourne but haven’t got a clue on where to shop at? Fret not. We have shortlisted 10 Places To Shop In Melbourne that will cover everyone’s differing budgets and styles. Yes, our comprehensive guide includes thrift shopping destinations, indie markets where you can find one-off pieces and malls where you can find your familiar brands. From the The Rose Street Market, Sunday Camberwell Market to Chadstone Shopping Centre, here are 10 Top Places To Shop In Melbourne. Do take note of each destination’s opening hours as some markets only operate on certain days. We sincerely hope you find this list useful, and do share with us your favourite shopping places in Melbourne too! Mothers are the most noble people in the world. They are sacrificial and selfless, they love unconditionally, and they are always there for us. We are nothing without our mothers, and they are key figures in our lives. They deserve nothing but the best of our love. Mothers’ Day is coming up, and don’t all our moms look forward to this day? There are 365 days a year to love our mothers, but on this very special day, we want to specially celebrate our Moms. There are many ways to show our appreciation, but let’s be practical, women love it when they can be pampered with beauty treatments and a fully paid shopping trip. We know our moms will be, and we are working with Millenia Walk to bring the very best to the most important woman of our lives. Here is how you can spend a day with your mom at Millenia Walk, filled with treats and surprises that will surely delight Mom. Bonusbay is a shopping portal that provides a free service that helps you get money back on your online purchases – with no strings attached. Whether you are shopping at Zalora, getting a new iPhone from Apple Store, booking a hotel on Agoda or getting your flights from Qatar for your next holiday, you get bonus cashback as long as you connect to the websites through Bonusbay. It is a brilliant platform that encourages savings while shopping, and trust us on this – it is easy peasy and it takes just a few more clicks to enjoy the cashback. Why say no to savings, right? So how does it work, you’d wonder? Read on to find out more about how you can shop and save with Bonusbay giving you cashback for your online shopping – a free service that is so good and unconditional, you’d wonder if it’s true. And yes, it is true. So we’ve got the festive food, the beverages and the catering all covered. Next up is shopping. It is the season of giving, and Christmas presents always bring about so much fun. Every year, we make a list of people we want to bless with presents. The next question is, what should we buy and where should we buy from? We are a fortnight away from the day, and there is no time to lose. Pick a date, head down to Millenia Walk, and settle all your gifts shopping in that mall that sits conveniently in the Marina Bay area. If you do not already know, Millenia Walk has more to offer than dining and kids’ classes. Their line-up of boutiques offers an alternative shopping experience if you do not want your usual high street labels and international brands that everyone will buy from. Packed with under-the-radar designers and quirky finds, shower your loved ones with surprises from the mall. We have curated a selection of the finer picks from Millenia Walk, and have them categorised into gifts for him and her to make shopping a breeze for all of you. Happy shopping and don’t forget to pick up a little something for yourself too! We have said it before, and we will say it again – Reebonz, one of the largest online luxury shopping sites, is one of the trusty to-go places when you need to shop for gifts for family and loves ones. For those of you who have missed The Great Reebonz Sale 2014 at Reebonz SPACE, not to worry because there is still another chance for you to indulge in some retail therapy. Snag your dream bag, snag them at a great price and you don’t have to feel bad about “splurging”. Now, don’t say we did not share. From now till 30 June 2014, Reebonz is having a site-wide end-of-season sale online with up to 50% OFF your favourite brands like Saint Laurent, Balenciaga, Prada and Givenchy. Fashion trends come and go, but great discounts never go out of style. And we can always bag that past season items and still jazz it up to look trendy, right? No one would say no to an “old” color when it comes to Balenciaga’s motorcycle totes. And here’s another bonus for all of you, from now till 30 June, there will be an additional 6% OFF when you use this promo-code: SALE6SG. So, don’t wait, just shop away! For more information, please visit http://go.reebonz.com/eos2, and like Reebonz on Facebook and Instagram. This post is brought to you by Reebonz.